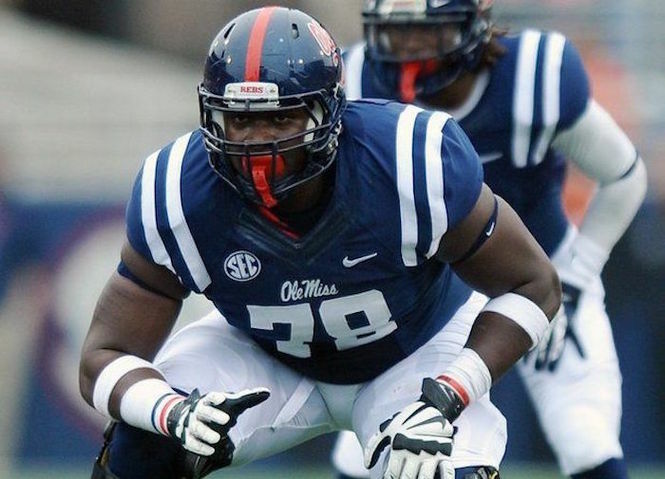 Laremy Tunsil for me is alone at the top of the 2016 draft. Tunsil is the best offensive tackle to come along in the draft probably since Jake Long in 2008. He is highly advanced as a pass protector, using his athleticism and strength to get in front of defensive ends. Tunsil faced a lot of good ones in the SEC even holding Myles Garrett in check. At times Tunsil lets defensive line too far into his body and he could be more powerful blocker in the running game. Overall though, Laremy Tunsil is the top player in the 2016 draft that is a little weaker at the top compared to past years.